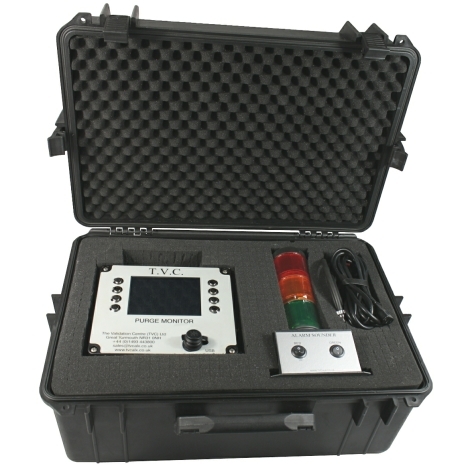 The Gas Purge Monitor (GPM) is housed in a rugged die-cast aluminium case and features a 5.7” LCD screen for a clear view of the monitored Oxygen level together with an onboard printout of the logged data. CAR/001	 Carriage	 Please note, costs will be dependant on country and/or paperwork required for shipment. CAR/002	 Collection	 Our equipment is manufactured to requirements. Please DO NOT arrange collection until TVC confirm that your order is available. Oxygen level can be displayed in Percent (%) or Parts Per Million (ppm), user selectable. The Zirconia Sensor can measure Oxygen levels from 25% down to 0.001% (250000 to 10 ppm). Data-logging of the oxygen level is directly on to a 4GB Pen Stick Flash Drive, along with operation time, and can be programmed by the user to record at pre-set intervals. 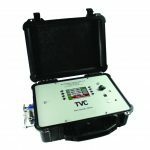 The proportional output can be programmed to output a DC voltage of 0 to 5V DC (0-10V DC and 4-20mA optional) over a pre-programmed oxygen level range. 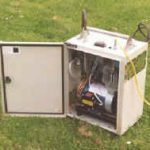 Outputs are provided for optional external warning beacons and proportional output together with changeover relay contacts for clients own warning systems. High/Low Alarm limits can be programmed by the user to provide external signaling via the Alarm outputs with the GPM screen also providing clear indication of the Alarm condition.